Billie, a young girl with an alcoholic mother and an absent father is sent to an orphanage when her mother is no longer capable of looking after her. Billie overcomes this difficult beginning to become a session singer in New York City. There she is discovered by a club DJ who helps her to become a star. The most disappointing thing about GLITTER is how ordinary it is. I admit that I went to the cinema with high expectations that Mariah Carey’s debut film would hit a level of badness somewhere between Michael Jackson’s MOONWALKER (1988) and Paul Verhoeven’s SHOWGIRLS (1995). Alas it was not to be – sadly for kitsch fans everywhere GLITTER turns out to be merely average and quite adequate in most departments. The film is set in 1983. The New York club/music scene is portrayed as a drug-free, AIDS-free world where all a girl needs to succeed is loyal friends, a man who believes in her and a bucket-load of talent. Life is not the model for GLITTER, but rather other films, like FAME (1980). GLITTER is an unacknowledged remake of A STAR IS BORN. That film has been remade a number of times, most notably in 1954 with Judy Garland in the “Carey role”. Garland plays the character of Esther Blodgett opposite James Mason’s Norman Maine. Maine is an alcoholic actor with a flagging career. GLITTER’s Maine equivalent is Julian ‘Dice’ Black (Beesley), the hottest DJ in a Studio-54-esque club. Dice has an anger management problem that leads to his undoing. Why GLITTER is set in 1983 is a complete mystery. Musical consultants Jimmy Jam and Terry Lewis rework their ‘80s hit I Didn’t Mean To Turn You On, but there must more to it than giving the movie a retro soundtrack. Even more curious is the absence of ‘80s costume, hair or production design. No wedge hairstyles, spikes, blonde tips or mullets are in evidence. Nobody emulates Madonna or Michael Jackson. The period detail is so unconvincing that any item genuinely from that era that makes it on screen (telephones, digital watches) really stands out. The big question-mark over the film is director Vondie Curtis-Hall’s involment. Curtis-Hall is a well-credentialled actor from film and television whose debut as a writer-director was the dark and comic feature GRIDLOCK’D(1997). GLITTER is a bland, showbizzy project that seems an odd choice for this director’s second feature. Mariah’s acting is okay. Like Whitney Houston in the BODYGUARD(1992) Carey seems unsure of herself at times and is a bit wooden at other times, but generally acquits herself well. Other performers are Tia Texada who plays one of the ‘loyal friends’ and was notable also as the room-mate in NURSE BETTY (2000); Terrence Dashon Howard does good things with the underwritten, cliched part of bad-boy producer Timothy Walker and Max Beesley puts in an energetic and layered performance as Dice. 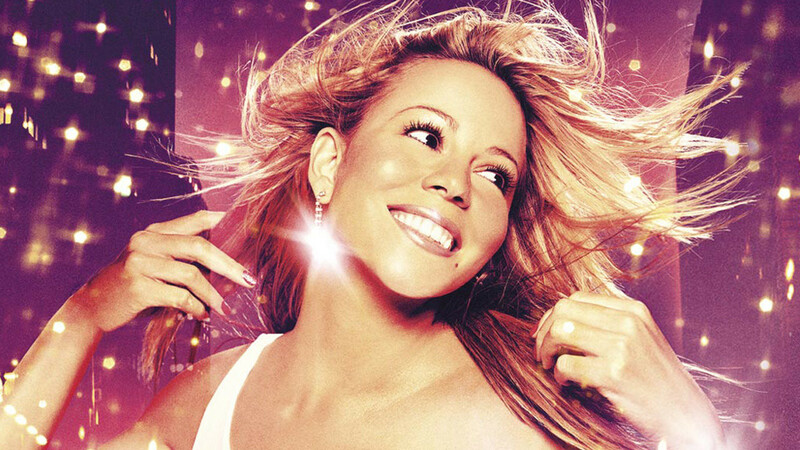 So, don’t believe the gripes–those who say they hate this movie probably went to it with similar intentions to mine–to see Mariah make a twit herself. She emerges from GLITTER unscathed. What is actually up on screen is no worse than television with the production values of a low budget movie. NOTE: Going through my archives I discovered a clutch of movie reviews I had written for Geoffrey.com.au. The site is still run by my friend Objectman with occasional posts from me , however a number of the reviews were lost in a catastrophic database incident of Y2K propositions, so I’ve decided to re-run them here.